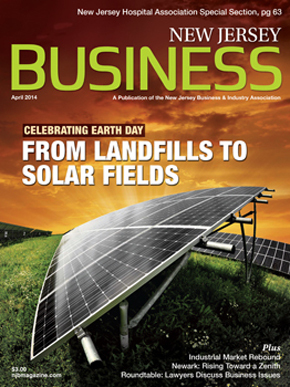 Whitesell is proud to announce its inclusion in the recently featured article, “Logistics and Improving Economy Fuel Industrial Market Rebound,” appearing in the April issue of New Jersey Business Magazine. The article, written by Eric C. Peterson, discusses NJ’s robust industrial market in light of e-commerce effects on supply chain logistics and demand for big-box modern warehouse structures, NJ’s competitive refocus for attracting and retaining business, statewide infrastructure improvement projects, institutional money, and competitive benefits enabled by same day delivery to a 25-30 million person market area. James Whitesell, VP / Leasing & Marketing cited Whitesell’s combined 1.1 million square foot current build to suit projects for Destination Maternity and another national retailer as examples of companies influenced by the NJ Economic Opportunity Act and increasing logistics efficiency by investing in well-located modern warehouse operations. To view the New Jersey Business Magazine article, click the link below.